This is a jungle themed indoor amusement parks, The indoor playground is equipped with infants’ recreation areas in addition to the naughty castle (Toddler play). 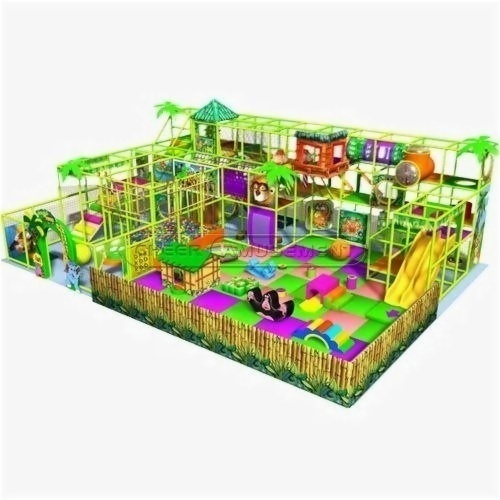 In a secure, stimulating environment, custom built to a child's scale, "Cheer Amusement" is a state-of-the-art indoor playground. The playground complements the high quality and unique design of the Amusement equipment and is an exciting attraction for children age 15 and under. A themed, life-like design and sound effects accompany slides, forests, a tree house, and even a cave. Kids are able to climb all kinds of amusement equipment. Children also can venture to the top of the tree house, cross over to the gigantic fallen tree, and race down a 30-foot superslide! For a more challenging adventure, kids can explore the tree foam forest and cross through the tube jam.